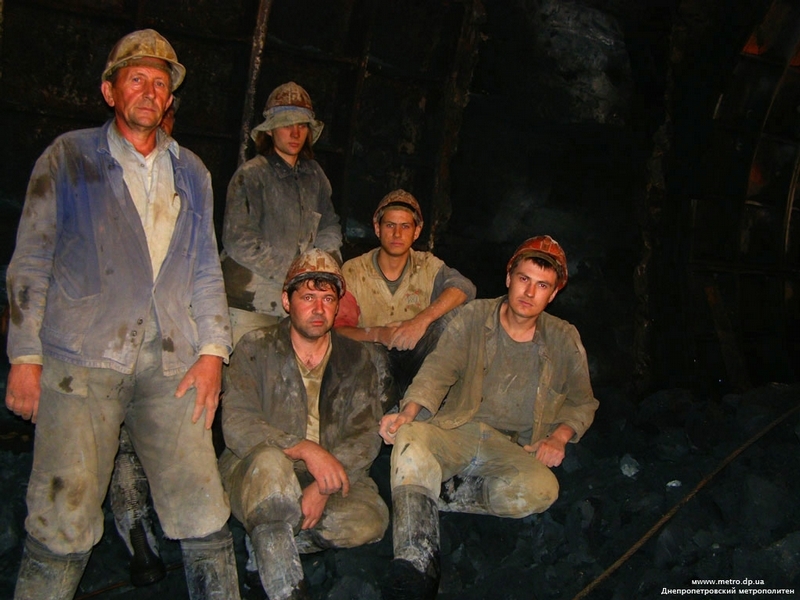 Pictured: one of the faces and all the charm of the Dnepropetrovsk granite geology. At the same time one talked about insecurity of the future metro. These talks were no more than rumors, but some accidents did happen during that period. 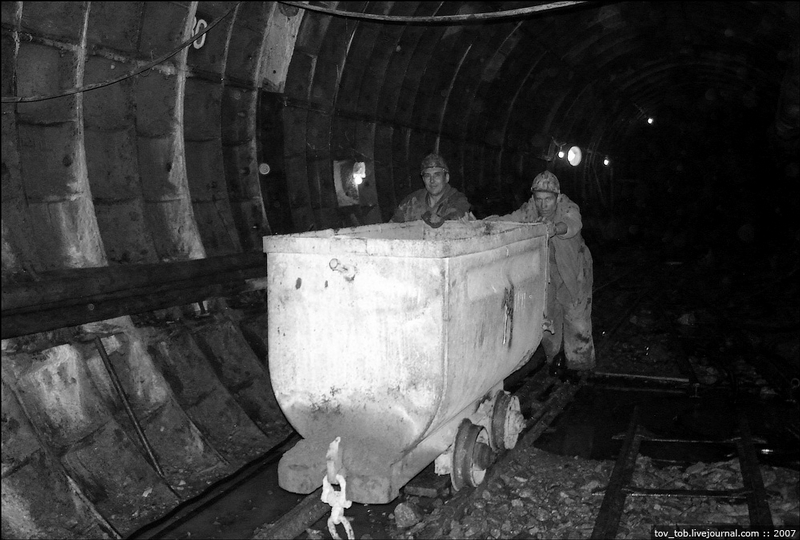 Despite the failure of all construction plans, in the early 90’s it was decided to build mine shafts for the second section of the metro. 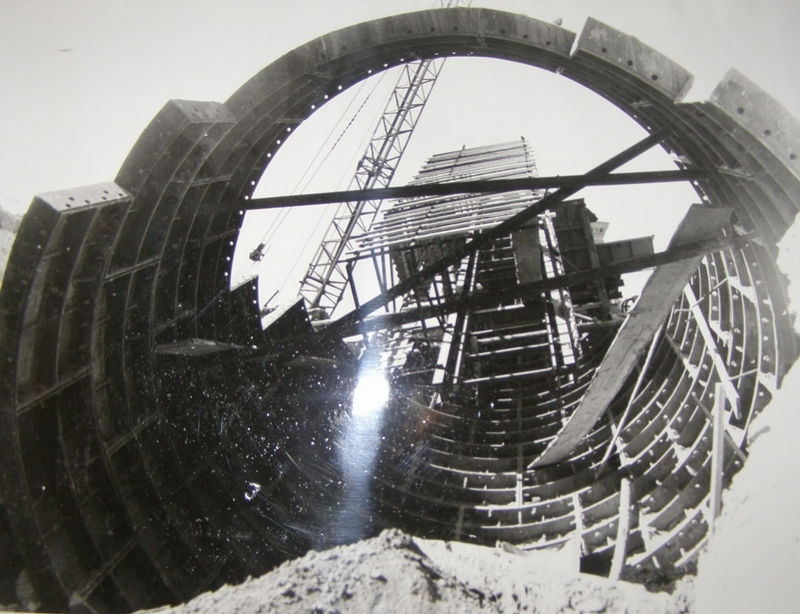 With the collapse of the Soviet Union building was stopped completely. Despite very high readiness of the object (about 90%), there was no money for its completion. In early 1995 nobody believed that something would ever change. 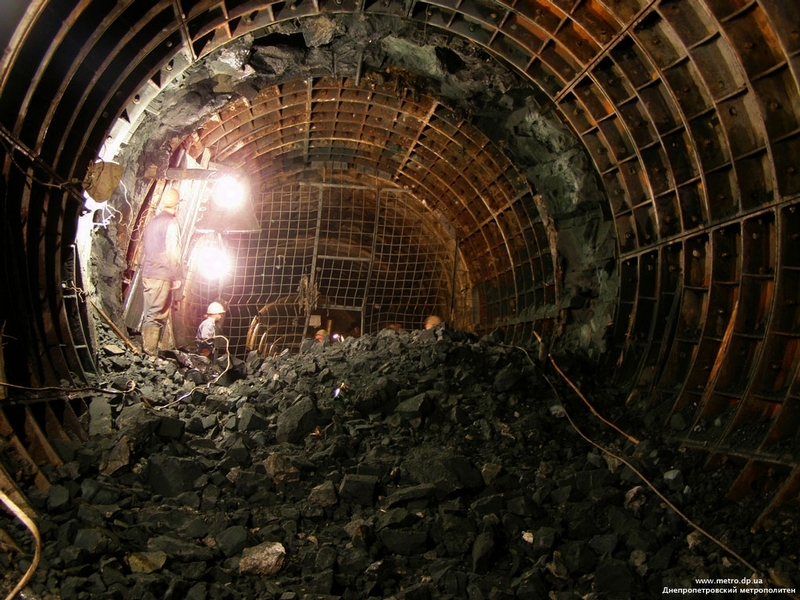 Thanks to the governor of the Dnepropetrovsk region who convinced the government to give money for the completion of the metro. The plate says: 5 days left till the start. 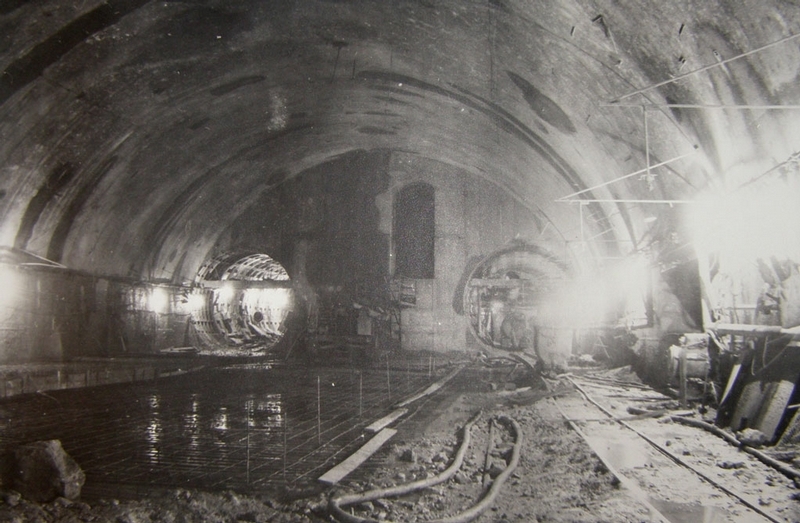 The opening of the metro. 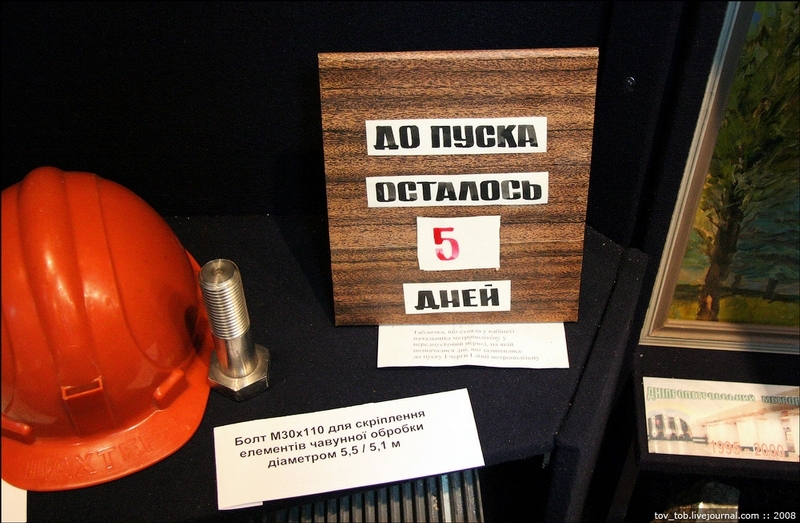 The pictures are taken from the archives of the museum. 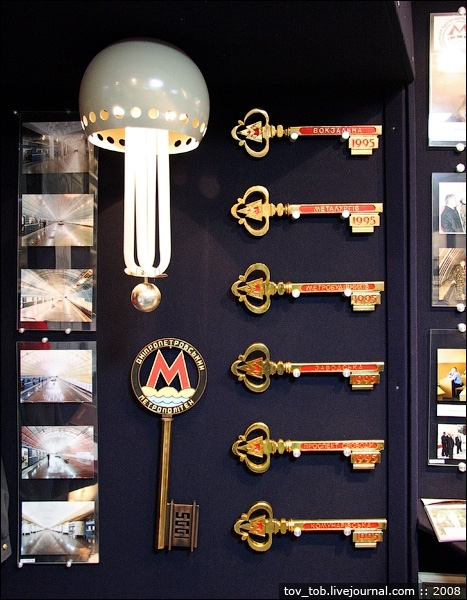 Symbolic keys to each station and the whole metro. During all the following years money was given incidentally, from time to time. 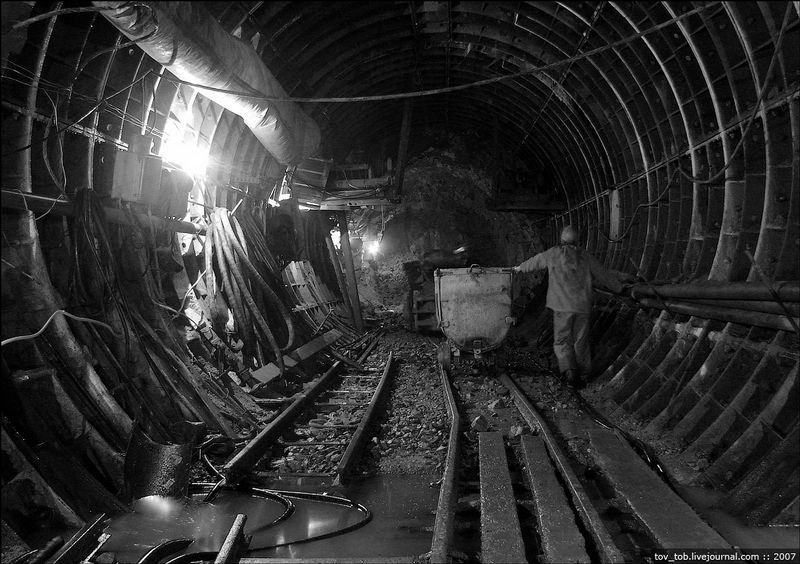 Despite the difficult situation, one of the stations and the 11th mine shaft were joined in August of 2008. 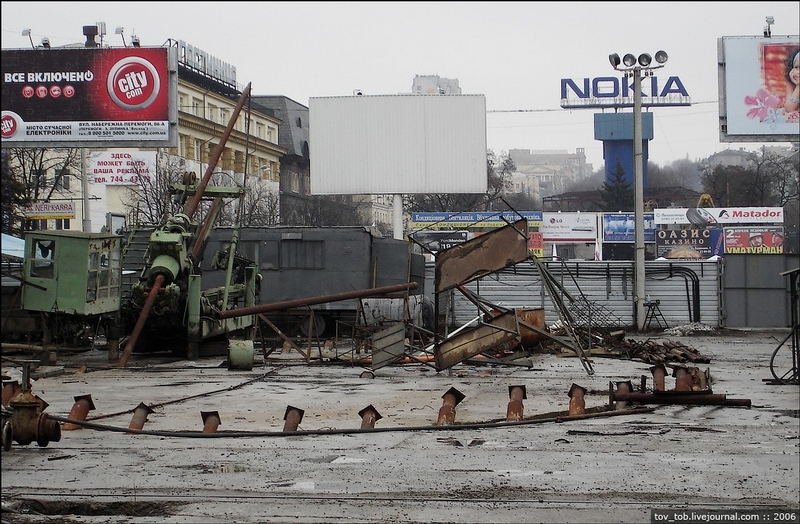 Joining is a happy and symbolic event but in Dnepropetrovsk all is different. Joy was overshadowed by regular delays in wages. 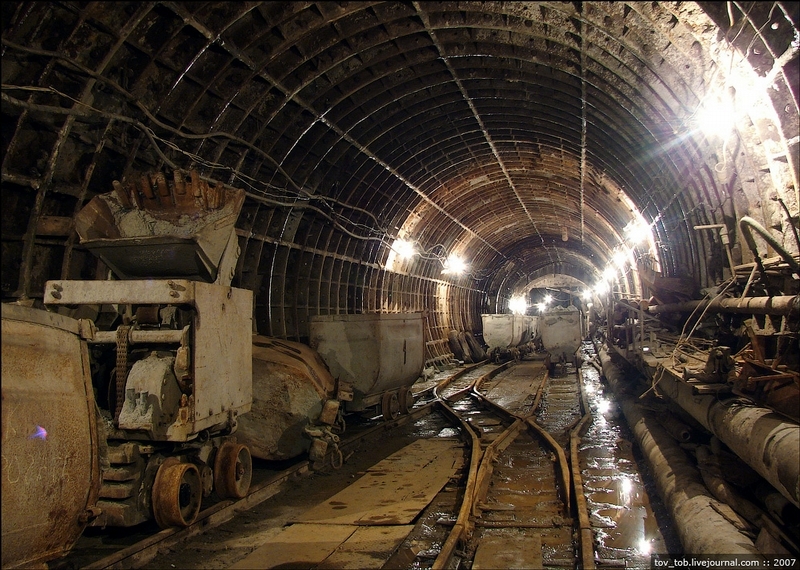 The current state of the construction of the metro. The red color indicates finished parts. 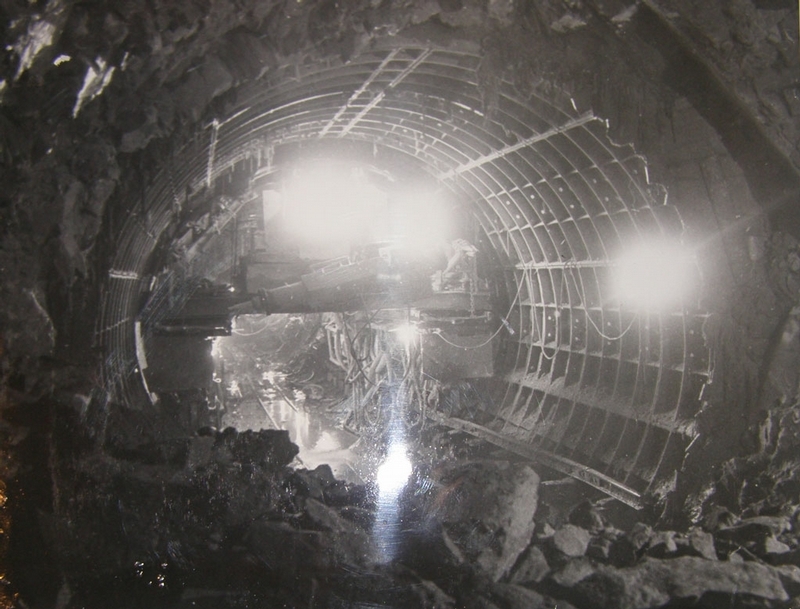 The construction of the second section is darkened by the absence of normal equipment. 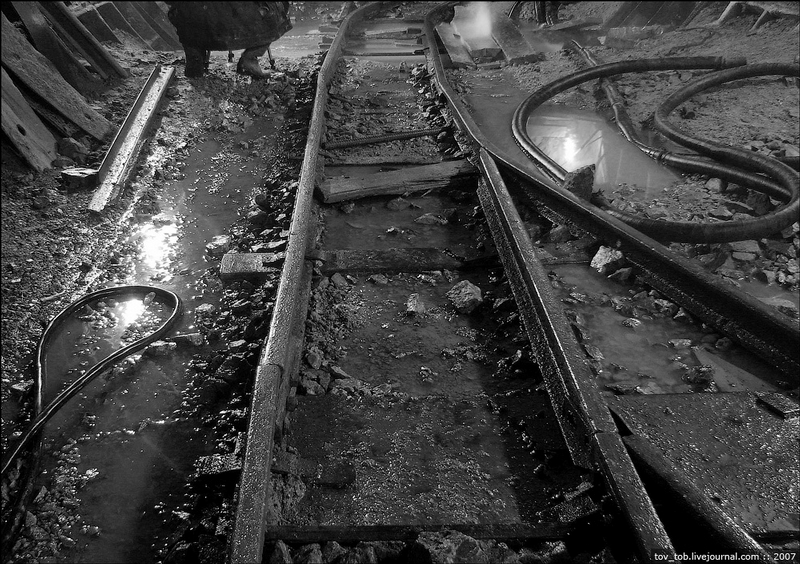 There are still no electric locomotives and carts are moved manually. Pity there is no money even for such trifles as turnouts. Sad to realize that all problems may be solved in one way: stable funding. 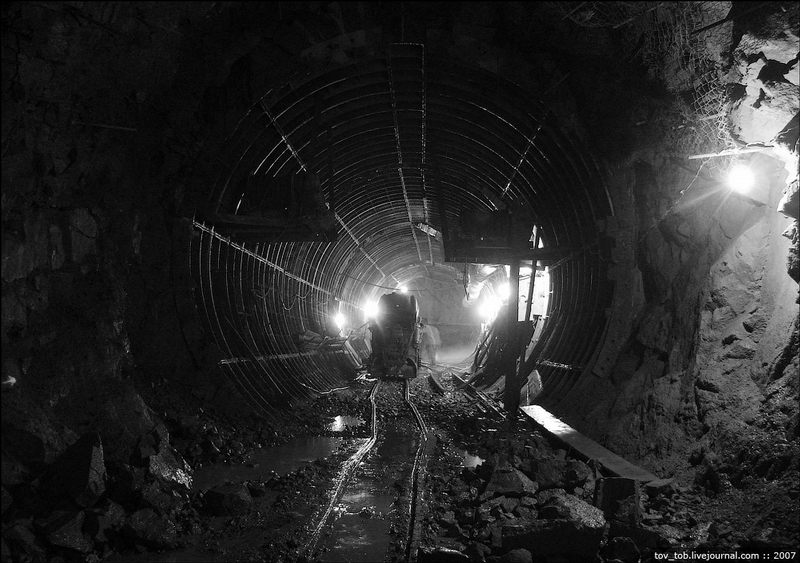 I’ve always been interested in Metro systems and these are some great pictures. But what disappoints me is that following the collapse of the Soviet Union, the state-owned oil companies fell into the hands of the oligarchs.. and now they are using this wealth to fund their own ridiculous lifestyles while the lives of ordinary citizens are hard and modest. Sigh. Ah, yes. It is always so. In 2006, this metro had few passengers due to limited number of stops,serving mostly the industrial side of the city rather than the center, so trains were coming every almost 15 minutes. Ticket was a bit more expensive than Kiev metro. Don’t know about present situation, opening of more stations was planned, don’t know if it has already done. 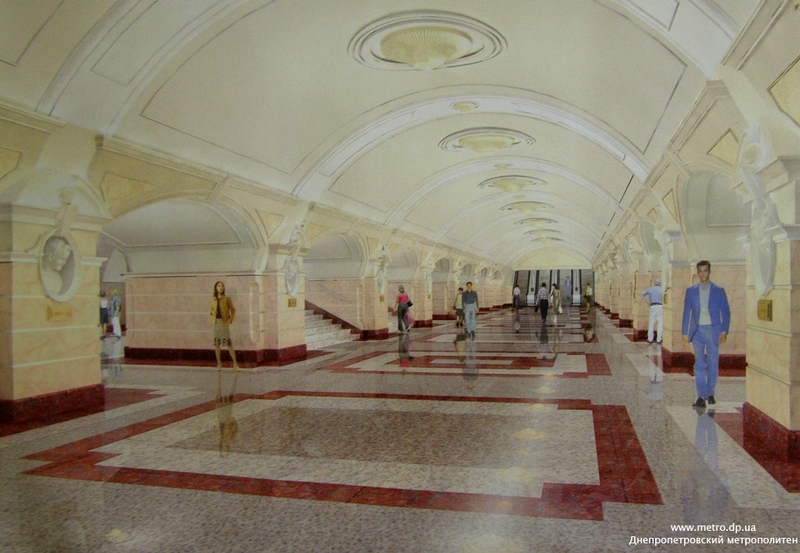 First impression from this metro is that their architects were watching too much 80’s sci-fi! 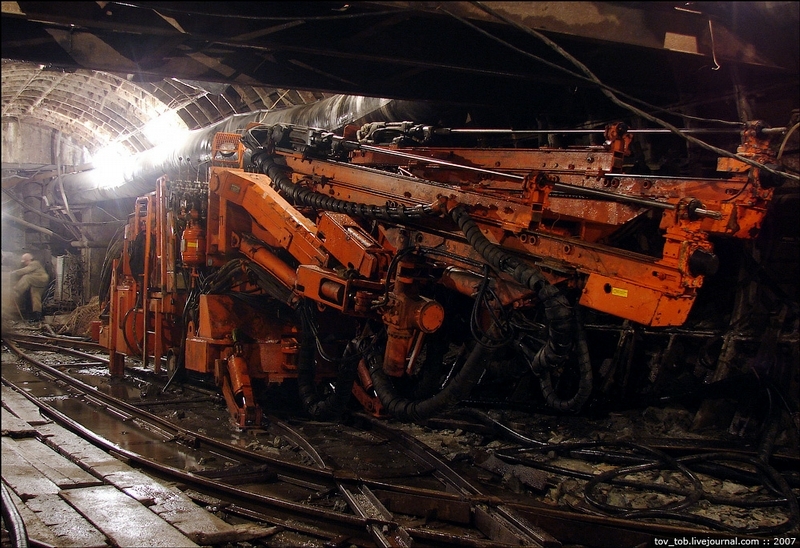 Alot of energy goes into these subways. They are almost like churches or museums. It just seems like misplaced money. From the other posts in this forums, It looks like the hospitals and roads in Russia could use a lot more funding. Also, your slap at the US was really weakminded. Considering the construction standards and inspection standards are so high in the US it takes longer to build here. As an American I look at mass transit as a utilitarian program for moving people (usually lower income) from point A to point B. It is not the source of national pride that it is for Russia. It is just a tool. Most Americans have cars and the roads are usually in great shape. 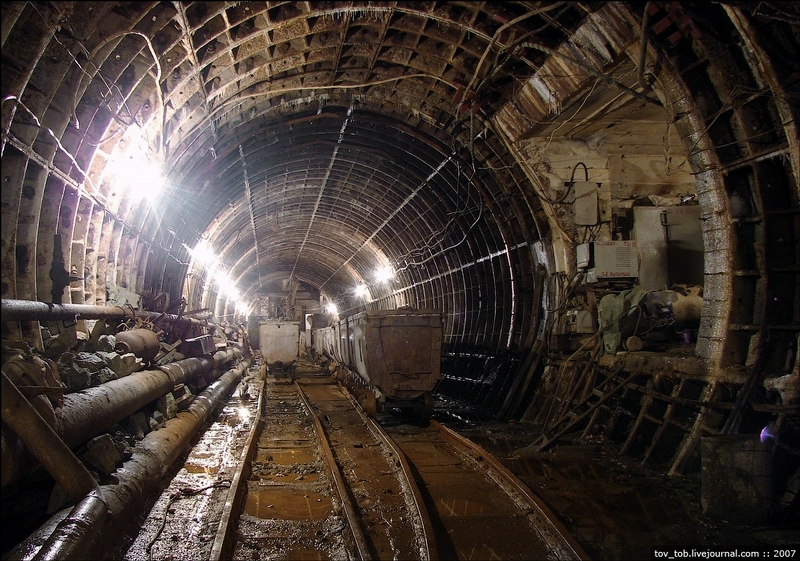 We don’t romanticize underground trains. Of course. No wonder. It takes hours to get across town in a car, compared to a few minutes in the train. Thats in the west, of course. Also, your slap at Russia was really weakminded. 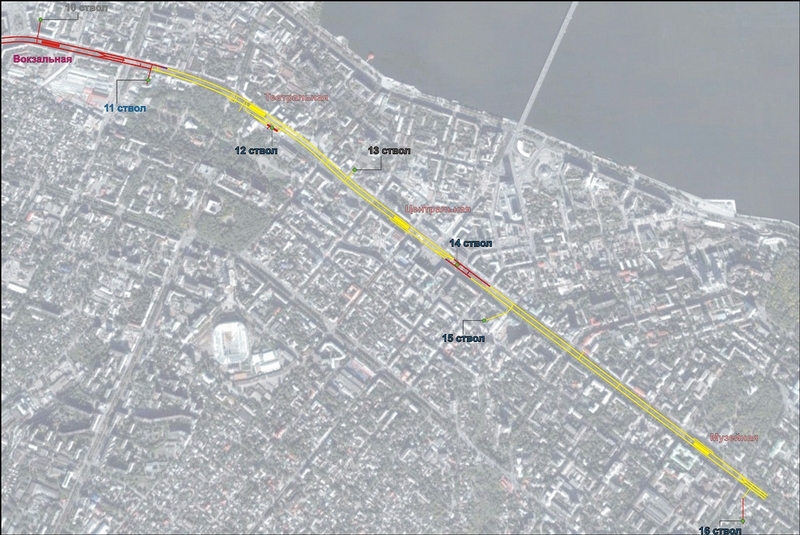 You accuse Russians of spending time and resources on subways, while leaving roads relatively unattended. Its the exact opposite in the US. The roads are taken well care of while the subways are not so well maintained.